Well, we are back from our hols. There’s more to come about them soon but in the meantime I am bursting to tell you about one magical weekend during the summer. My baby sister got married! 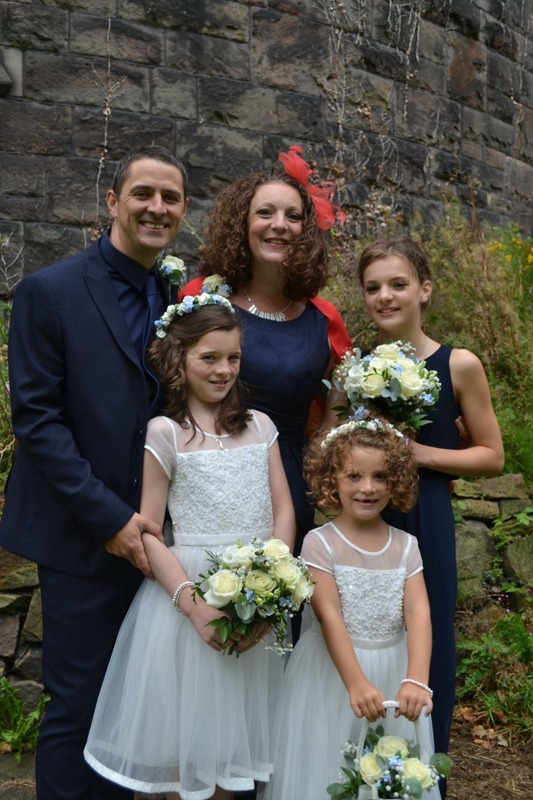 A fabulous family day that my 3 girls were bridesmaid for and was the dream day that my sister has imagined since she was tiny! Some of the bridesmaids – All 3 of mine were bridesmaids and had the best day ever. Violet talks about how great that day was, every day! 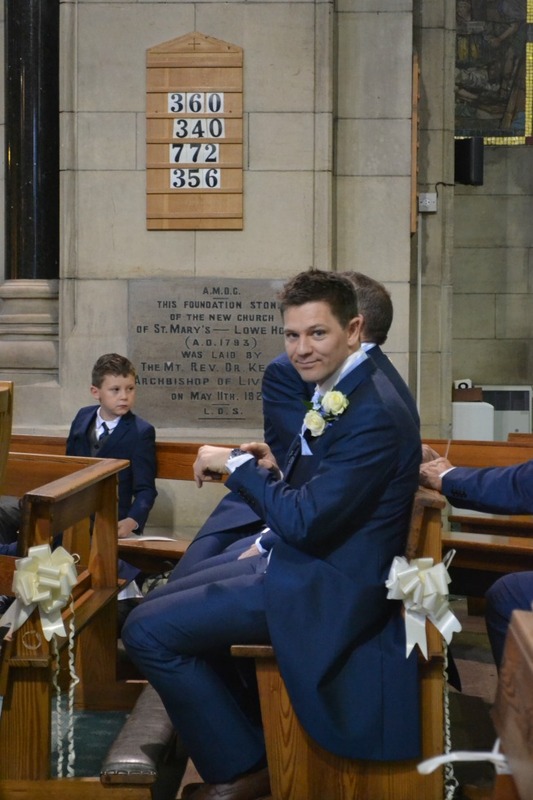 Its very exciting watching your Mum & Dad get married! There’s plenty more to come about our busy summer – This day was definitely one of the highlights. In fact, we are still recovering! 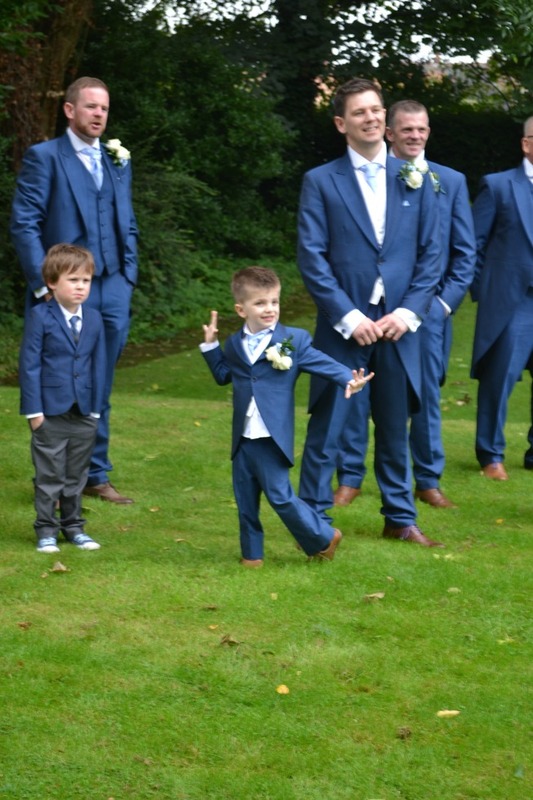 I’m joining in this week with one of my blogging friends, Mummy From The Heart and her Reasons to be Cheerful linky – I love the chance to celebrate with people as they share what is going well for them at the moment and happy events in their lives – I rather think a family wedding qualifies? Oooooh like the navy and white theme. Did all the guests have to wear those colours on only the bridesmaids and witnesses? It was pure coincidence that most of us had some sort of blue on. 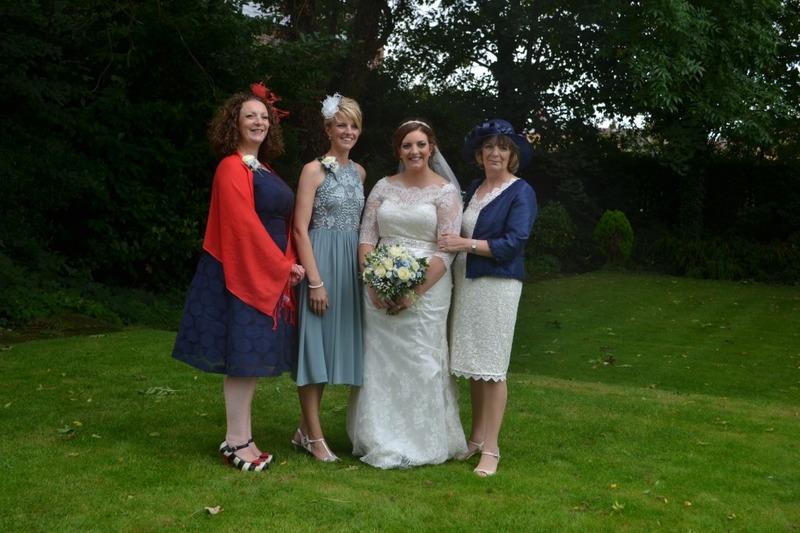 I did check with my sister beforehand that she was ok with me wearing navy – I didn’t want to be mistaken for a bridesmaid! 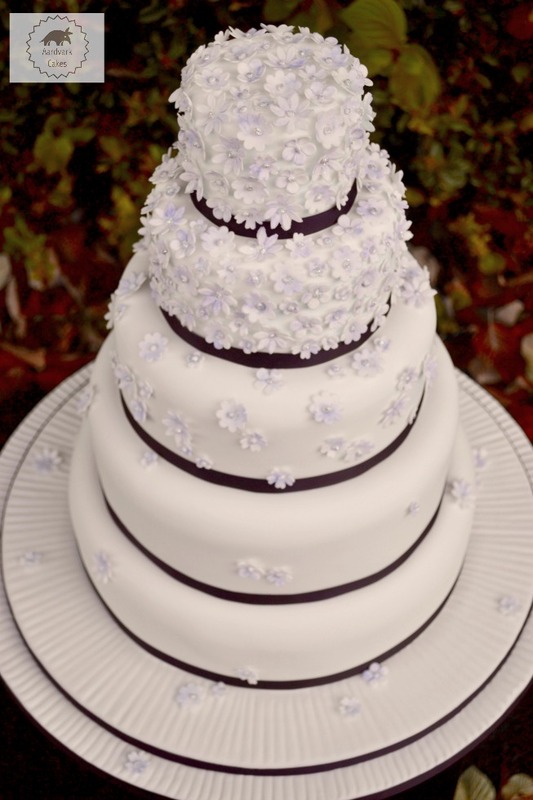 That is by far the most beautiful, unique wedding cake I’ve ever had the pleasure of laying my eyes upon. And you all look stunning, too – looks very classy indeed! OH thank you very much – It was a lovely cake to make but needed at least 5 times the flowers than I anticipated at first. I love your outfit – great use of bold colour! Thank you! I didn’t realise how bright it was until I saw the photos. 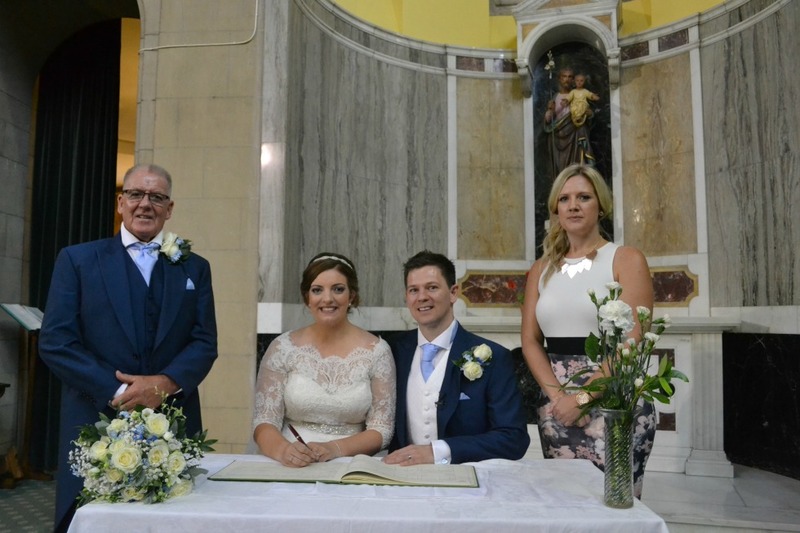 Thank you – I think everyone scrubbed up nicely too! The bridesmaids had the best day ever! Congratulations to your sister. 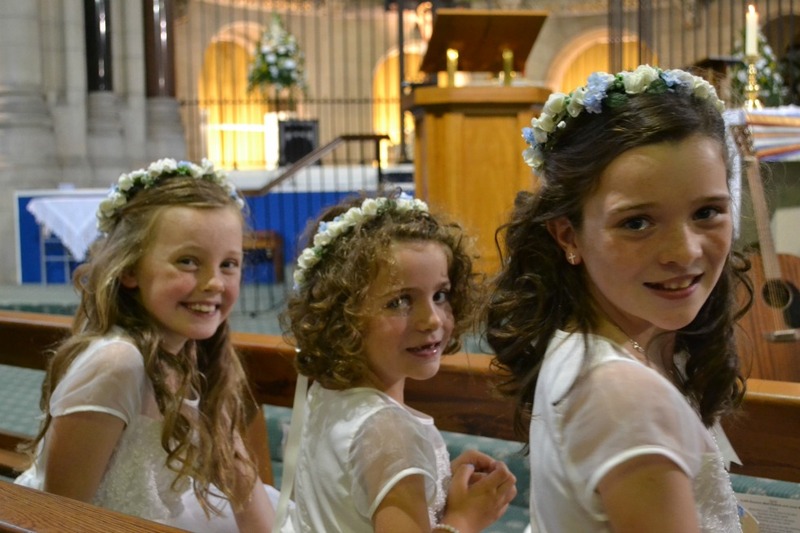 It’s lovely that your little ones got to be bridesmaids. They look great in their dresses. i don’t think they would ever have let my sister get away with not having them as bridesmaids! What a beautiful day indeed. Congratulations to your sister. Truly dream came true in a girl’s life. I so love the cake. Was definitely a dream day for everyone! I know my girls are still talking about it. Such a beautiful bride! Really glad it was such a great day! You’re girls look beautiful in their bridesmaid dresses too! and that cake! AMAZING! If/When I get married, I want a cake like that! What a lovely happy post to read, and such gorgeous photos. Congratulations to your sister and her new husband! It looks like such a wonderful wedding, congratulations to your sister. Lovely photos, looks like your sister had a great day. The girls will remember being bridesmaids forever. No better reason to be cheerful, love the photos and well done on making such a stunning cake! Thank you Candi! I really enjoyed making the cake – and eating some of it too!